Two original food and beverage concepts by global hospitality leader sbe, The SLS Buffet and The Perq coffee bar, will be added to a selection of culinary experiences at SLS Las Vegas Hotel & Casino. The modern buffet is an original design by Gensler architects in collaboration with renowned design consultant Philippe Starck, and The Perq marks the partnership between sbe and LAMILL Coffee. Opening with the property this Labor Day weekend, The SLS Buffet and The Perq provide standout, approachable dining experiences at SLS Las Vegas. The SLS Buffet offers a fresh take on the typical culinary experience with a complete multi-course offering of celebrated fare. Guests can indulge in a full meal with artisanal Mediterranean, Wood-Grilled, Chinese and Japanese cuisines prepared à la minute, with special hot pot, wok, steamer and sushi options. Chinese dishes include barbecued Peking Duck and Chicken and Char Siu Ribs, while Wood-Grilled dishes include the savory Garlic & Thyme-Laced Porchetta Chimichurri. The SLS Buffet also offers an assortment of desserts, featuring a range of pastries, fresh doughnuts made in-house daily and “dessert shots,” sweet treats made to perfection and served in shot glasses, with options including exotic cheesecake and carrot cake. Guests can also enhance their experience with a menu of crafted cocktails designed to pair with the variety of cuisines offered. Signature cocktails include drinks such as Fig Winner, the perfect match to the Wood-Grilled dishes, made with Bulleit Rye whiskey, Ancho Reyes liqueur, and fig and Dr. Pepper simple syrup. Best described as cabin-chic, The SLS Buffet creates a warm and rustic atmosphere accented with stylish country elements placed throughout the two mirroring dining rooms. Special design features include aged wooden bookshelves that line the walls and elaborate antler chandeliers hanging from pitched ceilings. Adding to the inviting ambiance, fireplaces located in each dining room set a cozy mood perfect for feasting. 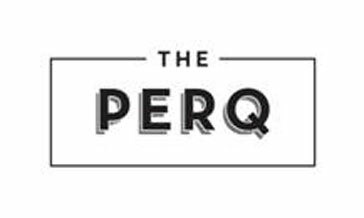 In addition to The SLS Buffet, the property introduces The Perq, a perfect stop for coffee, tea and a casual “grab-and-go” meal. The Perq at SLS Las Vegas will be the flagship location, with additional shops in development at other SLS Hotels nationwide. Boasting an extensive selection of hand-crafted coffee and tea, The Perq has collaborated with Los Angeles-based specialty roaster LAMILL to craft the SLS Signature Blend in addition to an assortment of specialty drinks featuring syrups made in-house. Along with The Perq, LAMILL Coffee will also be served at Bazaar Meat by José Andrés, Katsuya, Cleo, and Ku Noodle. Additionally, The Perq offers a daily variety of salads, panini, sweet and savory Danishes and other house-made pastries. Guests can also enjoy freshly-made gelato and ice cream sandwiches like the Nutella Gelato Sandwich made with caramelized sugar brioche.